Size: approx. 7 mm. Photo: 08/13/15, 9 pm. What a pleasing lacewing! That is at least the English name of this insect's family (Dilaridae). 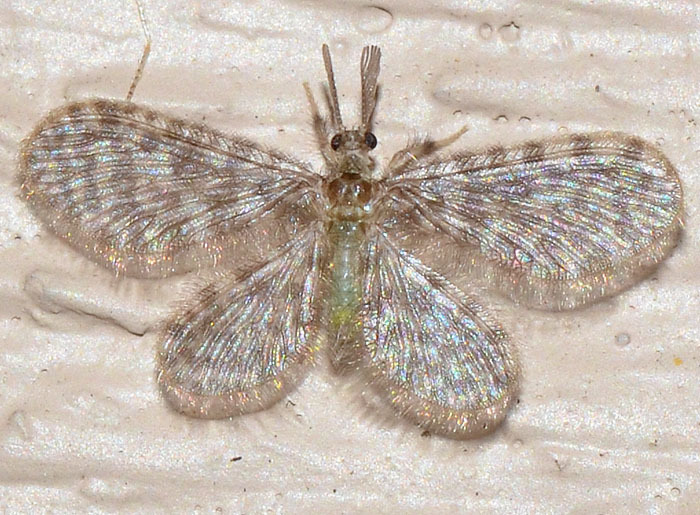 While it looks like a little moth, it belongs to an entirely different taxonomic order. Apparently it is a "very weak flyer, moving its wings in slow, floppy butterfly manner".